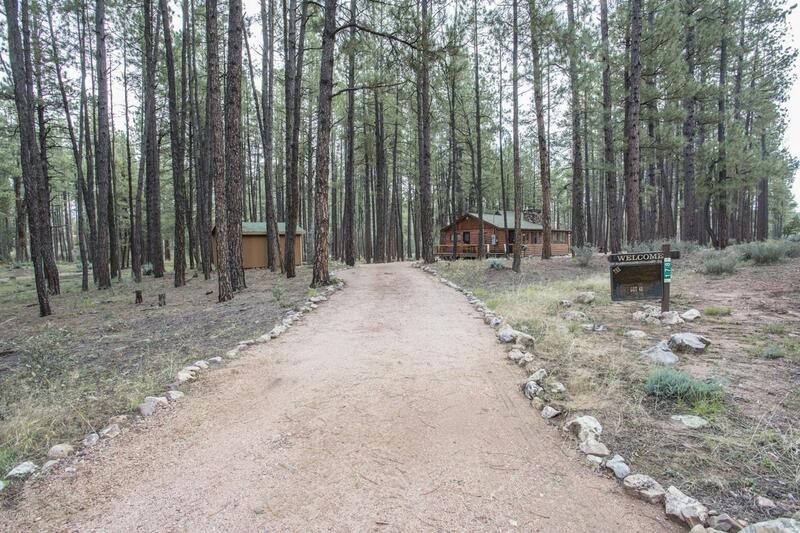 Nestled among the tall Ponderosa Pine Trees you will find this beautiful cabin located in the gated community of Thompson Draw II. 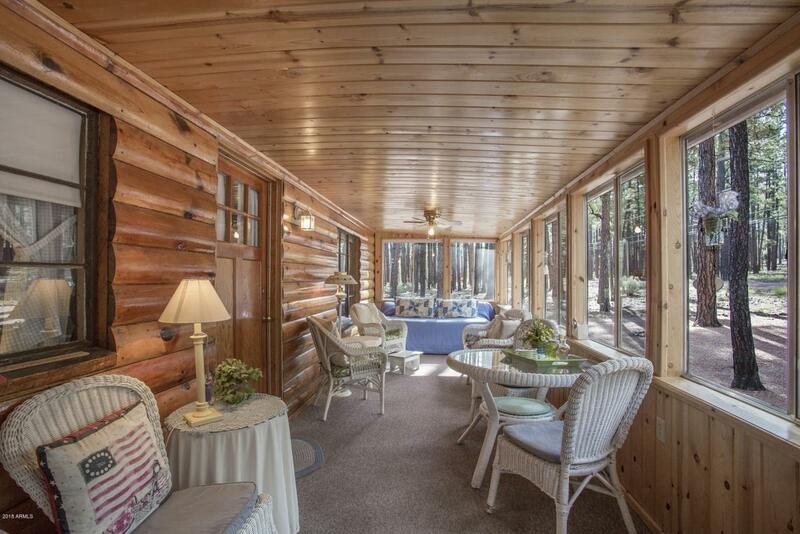 From the front entrance you will go into the large Arizona Room with many windows bringing the outdoors inside. The kitchen offers a 1950's flare. There is a beautiful fireplace in the living room which is great to cozy up to during those cold winter nights. The stunning master suite was architecturally designed to capture the views outside. Enjoy the nature that surrounds you on one of your two decks. 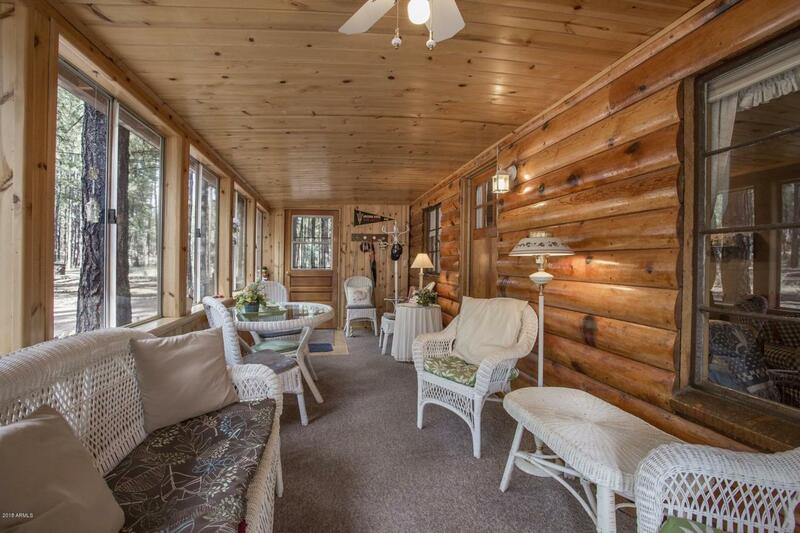 Besides your one acre lot there is also common areas for your enjoyment. 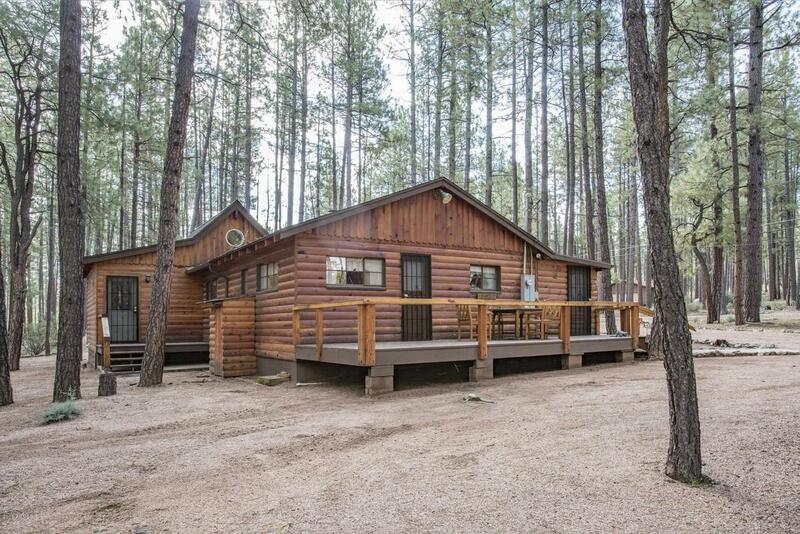 This cabin comes fully furnished including a golf cart which is in the shed. Completely turn key so you can start making new family memories today. Don't let the year built discourage you.